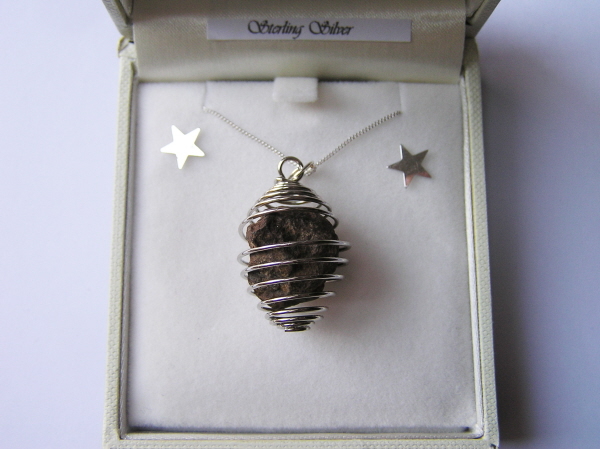 This is a new version of the stone meteorite cage pendant I have been selling for many years - and has ALWAYS been a best seller. This is a larger version - crafted from a whole stone meteorite strung from a solid silver curb chain inside a silver plated cage. The cage measures 3cm from top to bottom. You won't receive this exact pendant, but one very similar in size and appearance.